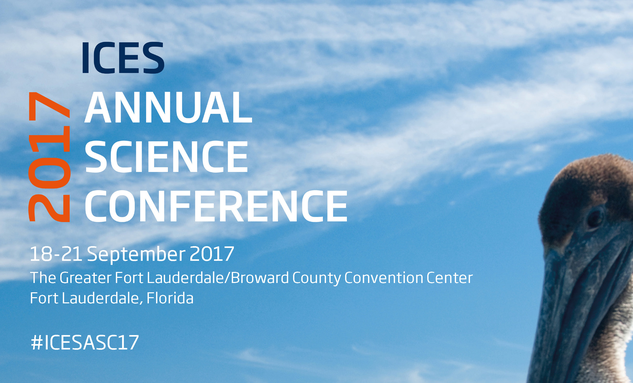 Like every year, the International Council for the Exploration of the Sea (ICES) organizes the Annual Science Conference, this year to be held in Fort Lauderdale in Florida this September. This is one of the biggest marine science events and the conference covers all types of marine related topics, from impacts of climate change on marine ecosystems, to metabarcoding and many fisheries topics such as stock assessment methods, population status and management. We are proud to announce that this year, three of our SAF21 PhD Candidates will be presenting their science at the conference. On Wednesday, 20 September, Charlotte will present insights on social considerations in fisheries modeling publications in theme session M ‘Modelling social-ecological systems: methods and tools for scenario development and prediction’. Later that day, Rannva will show her work on ‘Evaluating the socio-ecological performance of fisheries management in the Faroe Islands’ during the poster session. Then on Thursday, 21 September, Shaheen will present his paper ‘Fisheries research for ocean governance: A topic model analysis of fisheries science from 1990 to 2016′ during theme session Q ‘Integrating economic and social sciences in marine ecosystem services research’. If you are interested in hearing and seeing some of the latest SAF21 science, come join us for the ICES conference in Fort Lauderdale!